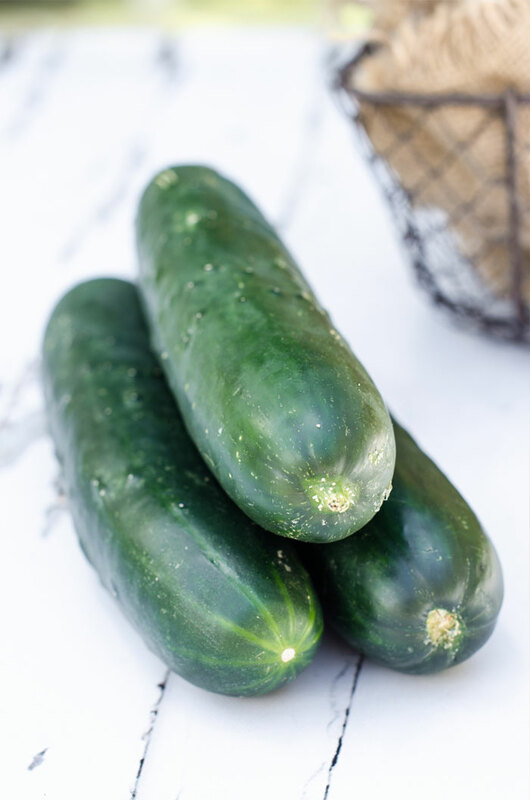 July is the month you really start seeing fresh cucumbers available at local farmer's markets and in your own backyard garden. These fruits (yes, like tomatoes, cucumbers are a fruit) taste their best when eaten soon after being picked and you can pretty much trust that they are ripe and juicy when buying them directly from the person who grew them. But what if you don't have access to fresh-from-the-garden produce or you are buying the cucumbers outside of the growing season? A few days ago, I picked up a few from my local grocery store with the intention of making sauteed cucumbers for dinner. As I sliced into the fruit, I was disappointed to see that they were so full of seeds that there wasn't much "meat" left to saute. And one of them was no good at all. That got me wondering if there is a way to know what the cucumber is going to be like on the inside without having to cut into it first. The good news is that there is and I wanted to share what I found with you today in the hopes that it will help you to know what to look for when you go shopping, too. It is my belief that you've got to be a perfectionist when it comes to choosing fruits and vegetables. Really look them over for blemishes, soft spots, and damage before adding to your cart. Those imperfections are a good indication the fruit or vegetable is no good. 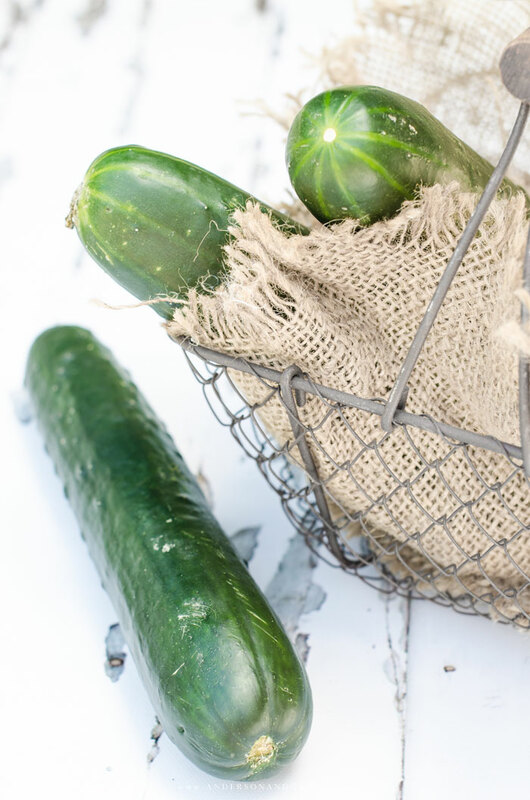 Stay away from cucumbers that have wrinkles because this shows they have lost their moisture after having been stored for too long or at a higher temperature than is best. Also, the cucumber should be firm and evenly rounded right to the tips. A bulge in the middle indicates that there is a pocket of large seeds in the fruit. While it may seem like you're getting the best bargain by buying the biggest fruit, the largest cucumbers have a lot more seeds inside of them. Ideally you want them to be skinny and between six and eight inches long (unless you are buying an English cucumber which is longer). 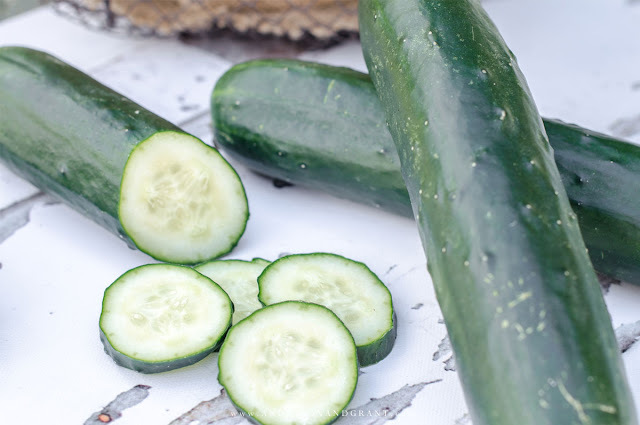 In addition to having fewer seeds, the smaller cucumbers are also crisper. The skin of a cucumber should be a uniform rich green color. Avoid purchasing ones with a yellow spot since this develops when the cucumber has been on the vine for too long. Your fruit in this case will likely not have a good taste or odor. There appears to be much debate over the correct way to store cucumbers, so I really believe it is a matter of preference. Some articles say it is best to store them on the counter while others say to put them into the refrigerator. Cucumbers prefer to be stored at 50 degrees which is a temperature in the middle of the two locations, so the choice is yours. Regardless of where you store them, it is important to keep cucumbers away from other fruits, like melons, tomatoes, and bananas. They are highly sensitive to the ethylene in these fruits, and will turn yellow and deteriorate quickly if stored too close. Be sure to thoroughly dry the cucumbers before storing them. Excess water on the surface encourages spoiling. Also, cucumbers are over 90% moisture, so wrap them in plastic wrap to help retain the moisture. If stored properly, cucumbers will last for about a week without being cut, but are best if eaten within three days. After you've cut into the cucumber, wrap the remainder tightly in plastic wrap and use it up with a day or two. Cucumbers are a delicious addition to a tossed salad or vegetable platter. They can be eaten raw, sauteed, or mixed into a summertime salad. However you enjoy them, I hope that today's post has helped give you confidence in picking out the best cucumbers next time you go shopping! 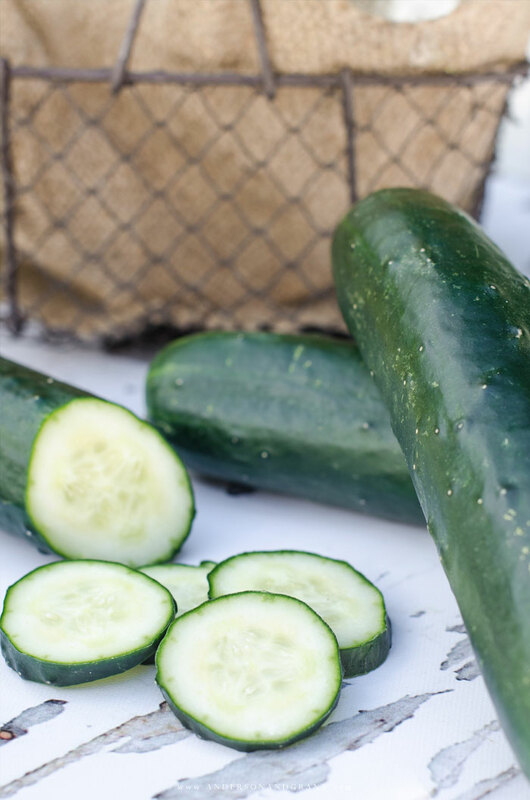 Download a printable guide for choosing the best cucumbers.